love this image but when you click for this template, it is a different house. 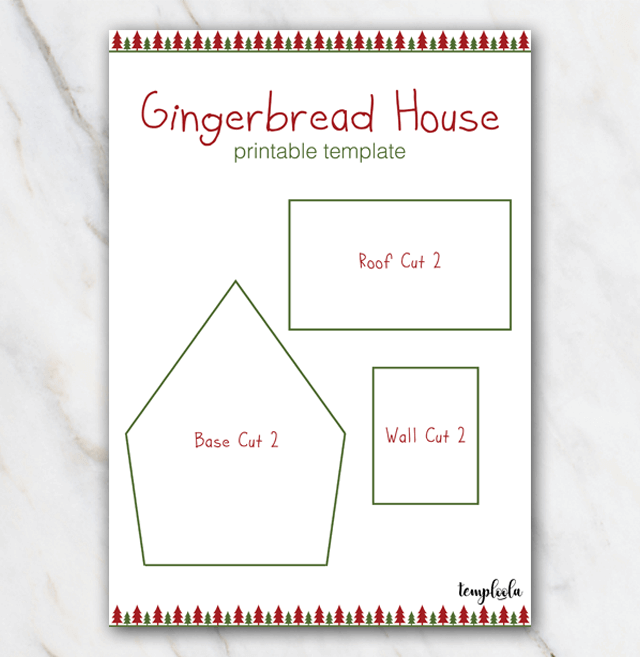 Lovely gingerbread house template in red and green colors. Easy to download and print at home. A great way to spend your Christmas days with your kids! Download the PDF file, print and cut the different shapes. Still looking for a gingerbread recipe? Have a look right here for a recipe and a description on how to build a gingerbread house.